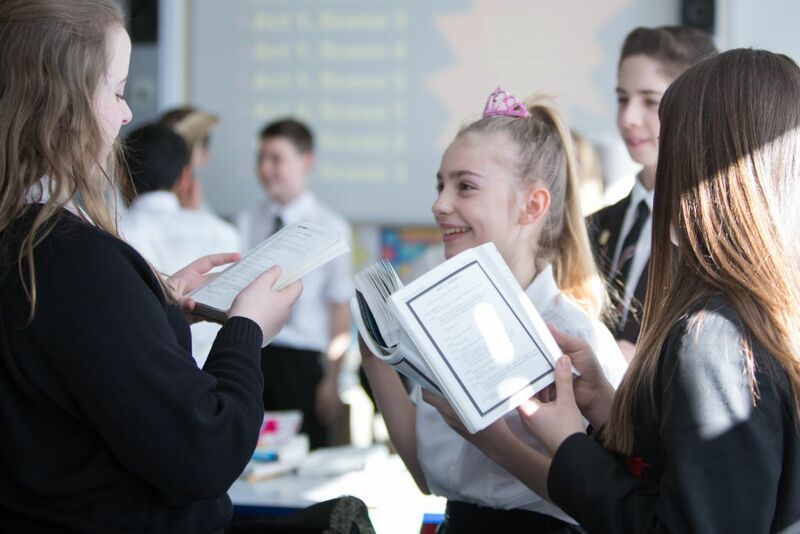 This policy and the accompanying resources outline the strategy for the promotion and development of literacy in The King John School. The policy is intended to ensure that a coherent approach to the promotion and development of literacy is adopted throughout the school. Please see PDF on the right hand side to read about how King John supports Year 7 students who did not achieve the expected standard in reading or maths at the end of KS2. It is the responsibility of all teachers to ensure that all pupils communicate effectively. This plainly includes their ability to apply their reading and writing skills successfully and to speak articulately in a range of contexts and for different purposes. At the most basic level, students should all be able to read basic texts, write coherently and communicate clearly through speech. It can be expected that almost all students will have reached this level before they enter secondary education and the focus should then be on developing literacy skills to ensure students can communicate for different audiences and purposes through both speech and written work, and that they can read with skill e.g. inference, commenting on the effect of texts. These skills must be developed in all subjects to ensure students become more familiar with the appropriate processes and skills, as well as understanding that literacy goes beyond their study of the English curriculum. Students should be aware of the need to adapt their communication according to context and should read often and widely across all subjects. Some students may not have made the expected progress in terms of literacy; in this case, differentiation in individual lessons is important to ensure the required progress is made possible, and intervention may also be required through Learning Support. ‘There can be no more important subject than English. It is at the heart of our culture and literacy skills are crucial to pupils’ learning for all subjects… yet too many young adults lack the functional skills to make their way in the modern world. Students are also being awarded specific marks for spelling, punctuation and grammar in many exams in different subjects which may affect students’ achievements. It is the responsibility of all staff to promote and teach elements of literacy wherever possible in lessons, as appropriate to the individual lesson and subject content. Literacy should also be promoted outside of lessons where possible. Teaching strategies and resources should be reviewed and altered where appropriate to ensure opportunities to develop literacy are not overlooked. All departments are able to receive advice and assistance from the Literacy Coordinator.